Her statistics for ball striking were off the charts, often leading Greens In Regulation and Total Driving every year on tour. One of the reasons why your friends say “keep your head down” is likely because you are having issues with something else. What I mean by this is if they say your head is coming up, what is more than likely happening is that your legs are driving forward too much - causing your torso to lift and consequently your head to lift. This is a classic case of losing your posture in the golf swing. So, lifting your head is not likely the problem. The problem could be that your legs are too overactive or you could be thrusting your hips in towards the ball - which in turn will cause your torso and head to lift. One thing I would like you to focus on the next time you’re at the driving range is to imagine that you are making golf swings with your tailbone flush against a wall. 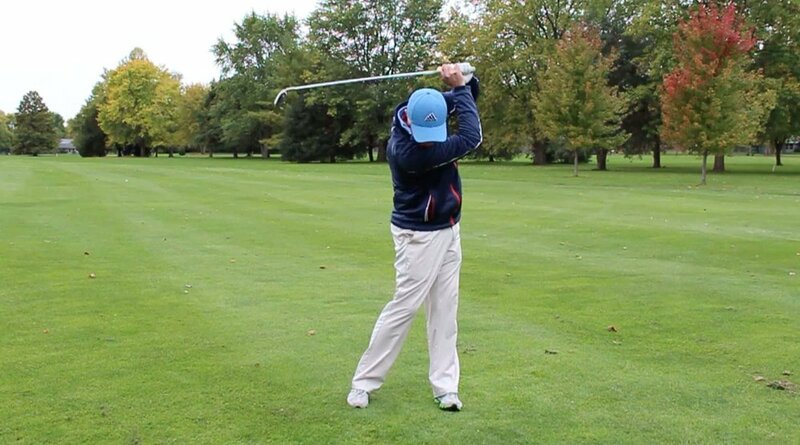 So when you get to the top of your swing, feel your tailbone is staying on the wall throughout the swing. So just to clarify - lifting your head is not the problem. It is more to do with what your legs and torso are doing. The next time you go to the range, really try to feel that the tailbone is staying back or is flush against a wall. This will allow you to stay in better posture throughout your swing. If you’d like something as a reminder when you go to driving range or golf course to help stopping the golf ball then download the bonus below. You'll receive a free step-by-step checklist that shows you the exact step-by-step process to eliminate the top.